SAN FRANCISCO — Soggy times are coming for cities along both U.S. coasts and they’ll be here much quicker than previously thought. By mid-century, sea level rise is set to make floods a monthly occurrence in more than two dozen major cities, and in some of those cities, it could become a daily occurrence by the 2070s. The watery findings come from a new study published Thursday and presented at the American Geophysical Union meeting. 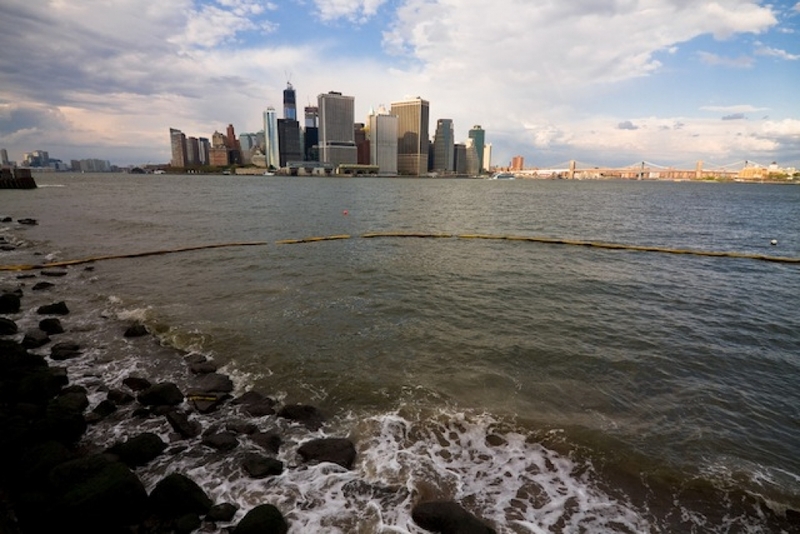 It builds on findings earlier this year from National Oceanic and Atmospheric Administration (NOAA) scientists that show sea level rise tipping points are just a few decades away for the majority of the cities they looked at. 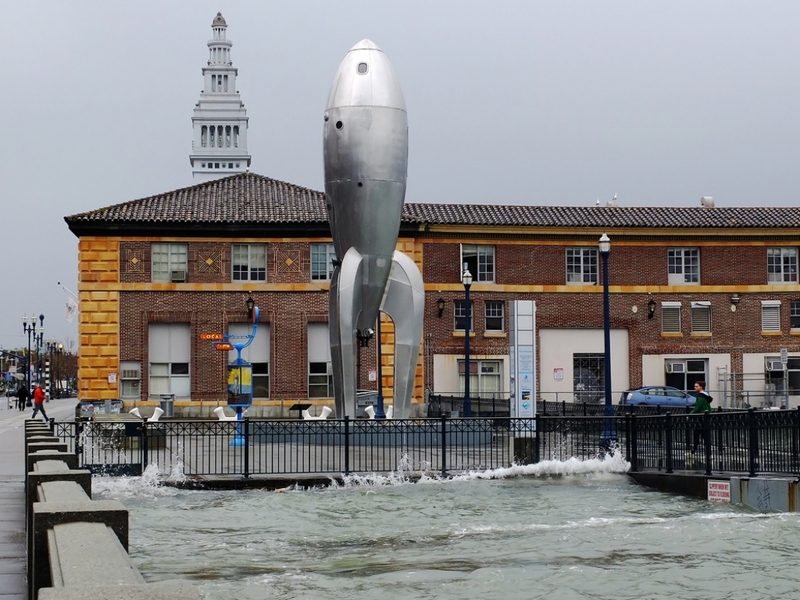 Flooding on San Francisco's Embarcadero during the 2012 King Tide. Flooding has already become 10 times more likely in Baltimore and Honolulu and five times more likely in Philadelphia, Norfolk, Va., and Charleston, S.C., since 1930. That’s in large part because since the start of the 20th century, sea levels have risen by about 8 inches globally due to human greenhouse gas emissions that have caused oceans to warm and land ice to melt, swelling the seas. “It’s an emerging flooding crisis,” William Sweet, an oceanographer with NOAA who led the new report, said. And while the onset of the crisis has been gradual, it’s likely to reach a tipping point in the 2050s for all 26 cities that Sweet examined, after which point the risk of flooding increases dramatically. Sweet defined a tipping point as the time when a city would experience 30 days of nuisance flooding — floods roughly up to 20 inches above the high-tide mark — per year. While most cities will reach that tipping point around 2050 unless greenhouse gas emissions are slowed, a number of locations will cross that line much sooner. Boston has nearly crossed that mark already and New York and Philadelphia are likely to reach the 30-day flood threshold at some point in the 2020s. Reaching those levels is a near guarantee due to the sea level rise already locked in. After that, the world’s choice on when or if to reduce greenhouse emissions will determine just how regular future flooding will be. In cities such as Norfolk and San Francisco, it will become a daily problem by the 2070s on the current emissions pathway, at which points seas could be up to 4 feet higher, according to recent climate projections. Sweet’s analysis is one of three major studies to look at nuisance flooding in the U.S. this year. Researchers from the Union of Concerned Scientists and Old Dominion also examined flooding and found similar results while using slightly different methodology to reach their conclusions. While nuisance flooding doesn’t have quite the same “wow” factor of storm surge flooding like Sandy and Haiyan, the financial ramifications are huge. Coastal flooding could cost the world trillions of dollars over the 21st century unless adaptation measures are taken. And it has very real implications for people living in low-level floodplains. “Nuisance floods have an important role in driving adaptation because that’s the flooding most people have to deal with every year. Nuisance flood damage isn’t going to reimbursed by the National Flood Insurance Program and I don't think your insurance company will reimburse you for a flood that happens 30 days a year,” said Bob Kopp, a sea level rise researcher at Rutgers University whose sea level rise estimates were used in the new study. Kopp said the findings provide a nice complement to other studies looking at larger-scale floods. The findings provide information that municipalities, individuals and insurers could use to consider the impacts of sea level rise just as research looking at 100-year floods can inform national flood planning. Sweet also sees the utility of these projections in planning because they cover a range of possible sea level rise scenarios. “(Communities) can actively participate and see on a year-to-year basis how impacts are playing out and make the right (adaptation) decision based on the trajectory they’re experiencing,” he said.